3DHEALS2018 is world’s largest conference focusing on healthcare 3D printing and bioprinting. 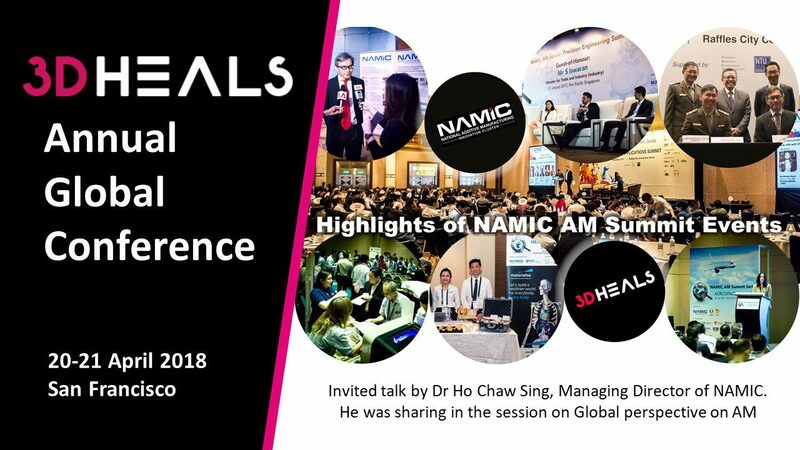 Dr Ho Chaw Sing, Managing Director of NAMIC, was invited to share in the session on Global perspectives on additive manufacturing. Their audience includes healthcare professionals, entrepreneurs, developers, designers, regulatory experts and investors. The conference was held from 20 to 21 April 2018 in San Francisco.